Bristol’s Thali Cafe business is to expand its unique ‘Taste of India’ offering and open at least 10 more restaurants in cities across the UK over the next five years. 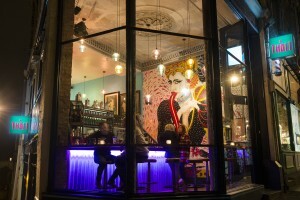 The multi award-winning business, which has well-known chef and food writer Meera Sodha as its guest chef, believes there is a massive untapped potential for the very best of food from India – what it describes as “cool Indian cuisine served in an authentic setting with an array of colourful and distinctive dishes taken from around the sub-continent”. There may already be more than 9,000 Indian restaurants in the UK, but Thali Café thinks it can bring something unique to the market. Founder Jim Pizer, who launched the business in 2001 serving his favourite Indian dishes from a stall at Glastonbury Festival, said: “We aim to be a disruptive force in the casual dining marketplace. “We believe we are breaking the mould of outdated perceptions of Indian food in the UK and creating an entirely new space in the ethnic casual marketplace. “Because Indian food has been with us for so long now, it has become rather predictable. Many of the familiar favourites like tikka massala were actually created in this country to appeal to British tastes. Our customers are looking to experiment and try out authentic dishes. To enhance the dining experience, Thali Cafes are decorated with a blend of Indian truck art, vintage Bollywood glamour and hand-painted Indian typography. “There’s no flock wallpaper to be seen,” added Jim. 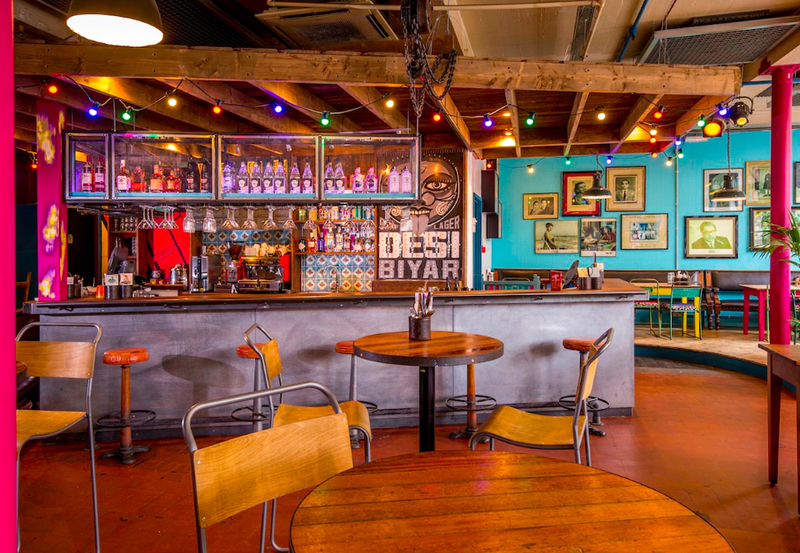 Since 2001, Thali Cafe has steadily expanded to a chain of five outlets across Bristol: the latest is a 120-seater restaurant in the historic Tobacco Factory, Southville. With an injection of venture capital behind it, the firm now has 10 more outlets in its sights over the next five years. Top targets include Bath, Birmingham, Exeter, Leeds, Liverpool, Manchester, Nottingham, Oxford and Reading. Bristol-based property consultancy Williams Gunter Hardwick has been appointed to lead the search for locations with a lively bar and casual dining scene. Director Stuart Williams said: “We know there’s a real appetite for authentic international cuisines, and the Thali Cafes in Bristol have a typical customer profile of young urban professionals, who are probably well travelled and wanting to try something new. “A surprisingly high percentage of Thali customers are female – 70% – which might be explained by the wide range of vegetarian dishes on offer and the accent on healthy, lean cuisine some of which is also gluten free. Williams Gunter Hardwick is looking for cuisine hot spots in the towns and cities on their target list – with neighbours such as Wahaca, Pieminister, Comptoir and The Stable. Total space requirements will around 230-370 sq m (2,500 - 4,000 sq ft) with a minimum of 150 sq m (1,600 sq ft) on the ground floor.